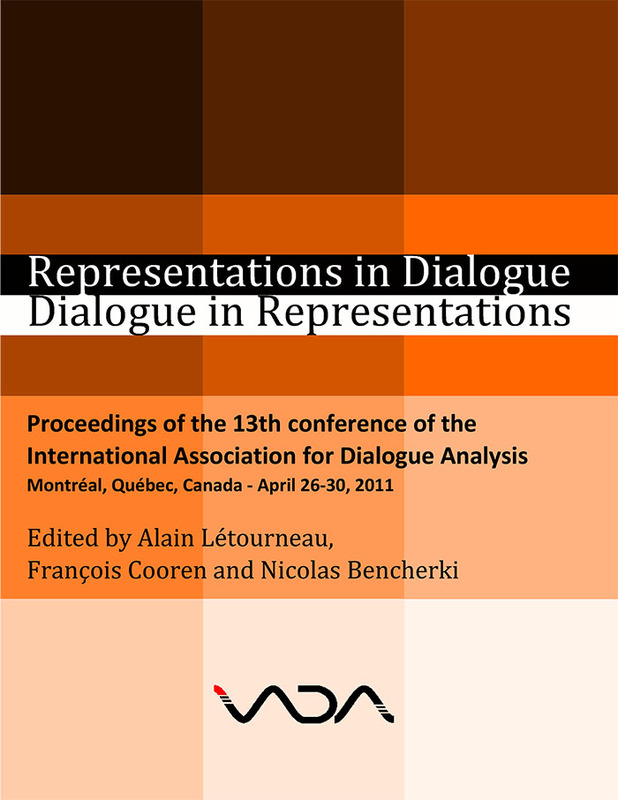 The 13th International Conference on Dialogue Analysis was held in Montreal, Canada, at the Université de Montréal, in April 2011. Around 200 participants from all over the world came to explore the general theme “Dialogue and Representation.” Researchers addressed the connections of representation and dialogue, which was problematized in at least the three following ways: 1. Dialogue as representation, 2. Normative perspectives on dialogue/representation issues, and 3. Representations of dialogue. In these proceedings, you will find some of the best contributions to this international conference. A selection of texts is also published in (Re)presentations in Dialogue, edited by François Cooren and Alain Létourneau, available from John Benjamins Publishing. Other texts were chosen for inclusion in an issue of Language and Dialogue edited by Alain Létourneau and François Cooren, entitled Dialogue and Representation (vol. 2, no. 1, also published by John Benjamins).